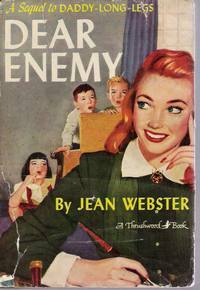 I’m borrowing one of t’Elf’s headers here and celebrating the life and works of Jean Webster. Alice Jane Chandler Webster (1874-1916) was an American author, specialising in young female protagonists with lively spirits, kind hearts and a burning desire to change the world! The author came from a strongly matriarchal background, raised by her mother, grand-mother and great-grand-mother – four generations all living under the same roof. A womans woman; she enjoyed school and made friendships that lasted throughout her life. Indeed; she fell in love and married the brother of her best friend (having to keep the relationship under wraps for 8 years as he was already unhappily married!). At the early age of 39 years; she died shortly after the birth of her only child – a duaghter named Jean. An intelligent and passionate woman; her writings demonstrate a sense of humour and love of whimsy; alongside a strong and rational belief system. Jean (as she became known during her school years) argued for female suffrage, campaigned for social reform; socialism and travelled extensively to further improve her mind. Her writings inspired and delighted me – I have and will continue to recommend her works to women of all ages. A book I first encountered many many moons ago. Judy Abbot is the oldest orphanage in the John Grier Home. Witty and eloquent; she attracts the attention of one of the trustees of the Home with an essay for the local village school. This trustee – a Mr John Smith – decides that Judy deserves the best education that money can buy and arranges for her to be sent to university – with all expenses paid. He attaches only two conditions. Judy must write to him every month to encourage her writing talents (he believes that she has the makings of an author). Additionally; Judy can never know who he is. With the exception of the first chapter; the book comprises of Judy’s letters to this enigmatic man. A person she has only ever caught the briefest of glimpses off – a shadow thrown up against the wall – elongated and resembling nothing so much as…a long legged spider. I can’t help but love this book in a thousand different ways. Judy is funny, energetic and independent; also feisty, determined and longing so much to fit in the world around her. Before you think of her as a Mary Sue type – she is also quick tempered and stubborn. The best of all possible personality combinations if you ask me! I only discovered that there WAS a sequel about 2 weeks ago and promptly downloaded it and devoured it. In this book; Judy’s school friend Sally McBride takes over the management of the John Grier Orphanage while Judy is travelling with her new husband. She writes updates to both Judy and to the attached Doctor – the enemy referred to in the title. While I did enjoy this book and found it to be as funny and moving in places as the original; its nowhere near as good for two primary reasons. Firstly the protagonist Sally is a touch grating. She is not half as easy to relate to as Judy was and her self confidence and ‘outgoing bubbly personality’ can on occasion seem demanding and brass with a side dish of annoying. Far more difficult to overcome are the societal assumptions prevalent during that time but no longer considered acceptable at all. 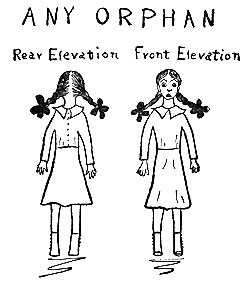 There’s a particular passage about a third of the way in relation to orphans with learning difficulties that made me wince and shudder and all sorts of bad things all at once. The concept of eugenics raises its head on more than one occasion stated as scientific fact – though the protagonist does eventually decide that children are more impacted upon by a positive home environment than purely genetic defects. Given that the book was in fact written with the aim of improving awareness; I’m comfortable with making some allowances. 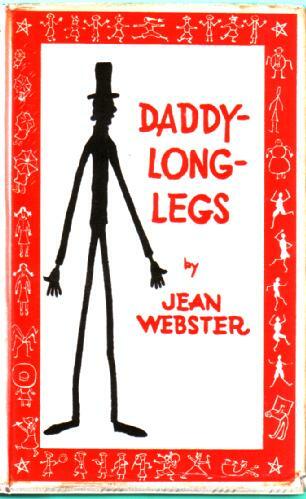 I’m glad that I’ve read it, I did enjoy it but the spot that Daddy Long Legs holds in my heart remains secure! – the illustrations provided in the books are her own. Next ›LBC3Reads – Meet and Greet! !